Home / Shop / Ceramic Media- (Cut/Debur) / Ceramic Triangle Media / 3/8″ x 3/8″ C-BOND TRIANGLE, 50 lbs. 3/8″ x 3/8″ C-BOND TRIANGLE, 50 lbs. 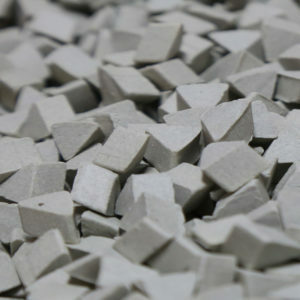 50 lb box- Ceramic media is a heavy material comes with a wide variety of shape and angle options that can increase or decrease its cutting ability. 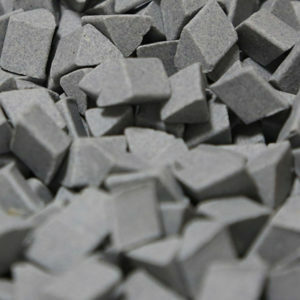 Ceramic media is commonly used for machined or cast parts that have rough tool marks. Ceramic media can quickly and effectively remove burs and grinding marks leaving you with a smooth part ready for the assembly line. 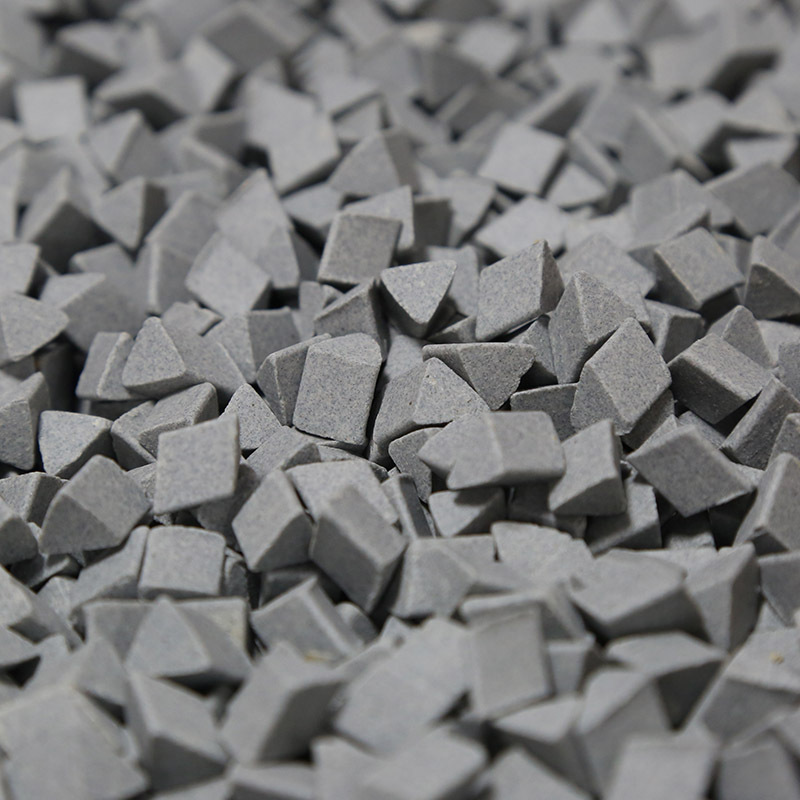 Depending on the shape, density and size of the ceramic tumbler media, you can achieve whatever finish you need. This abrasive media is typically used in the first step of a finishing process and can easily remove troublesome burs from your parts. 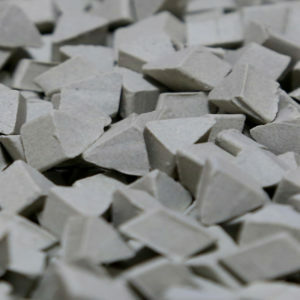 Below you’ll find a list of the Ceramic Triangles we stock. 5/8″ x 5/8″ DURA 30 TRIANGLE, 50 lbs. 7/8″ x 7/8″ DURA 30 TRIANGLE, 50 lbs. 7/8″ X 5/16″ C-BOND TRIANGLE, 50 lbs.